Composed by Helmut Michael Brand, Ingo Bredenbach, and Martin Hagner. This edition: Paperbound. Hymns by Martin Luther: Ausgaben mit mehreren Luther-Liedern. 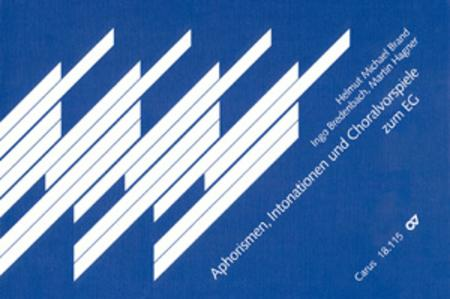 Aphorismen I (Intonationen, Choralvorspiele). Organ music based on hymns. Collection. 120 pages. Carus Verlag #CV 18.115/00. Published by Carus Verlag (CA.1811500).